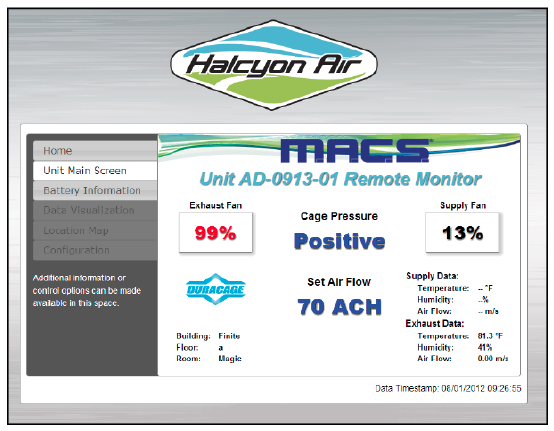 It’s the new name in air handling systems – Halcyon Air! 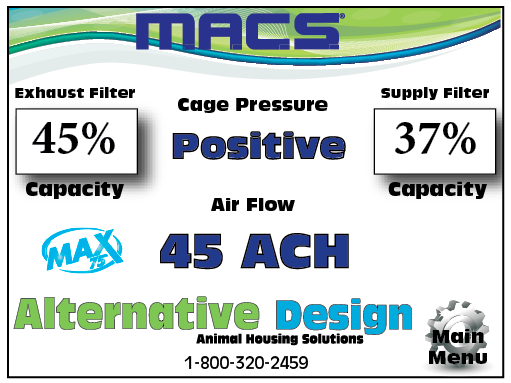 This ground breaking new product has been engineered and manufactured to meet global guidelines for maintaining a healthy rodent micro-environment within individually ventilated cages (IVC). 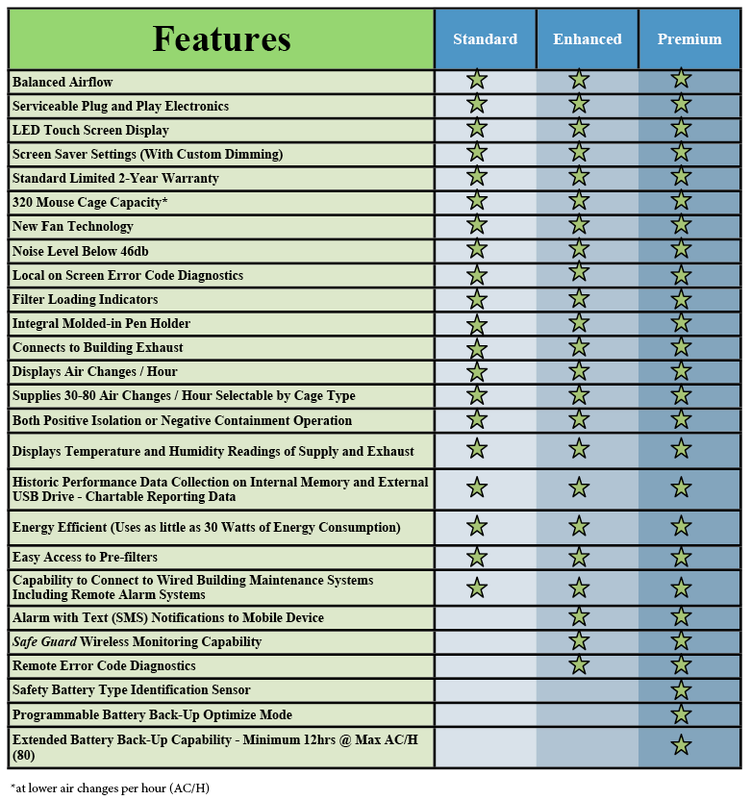 It includes supply & exhaust blowers in a single slim cabinet for a small footprint. 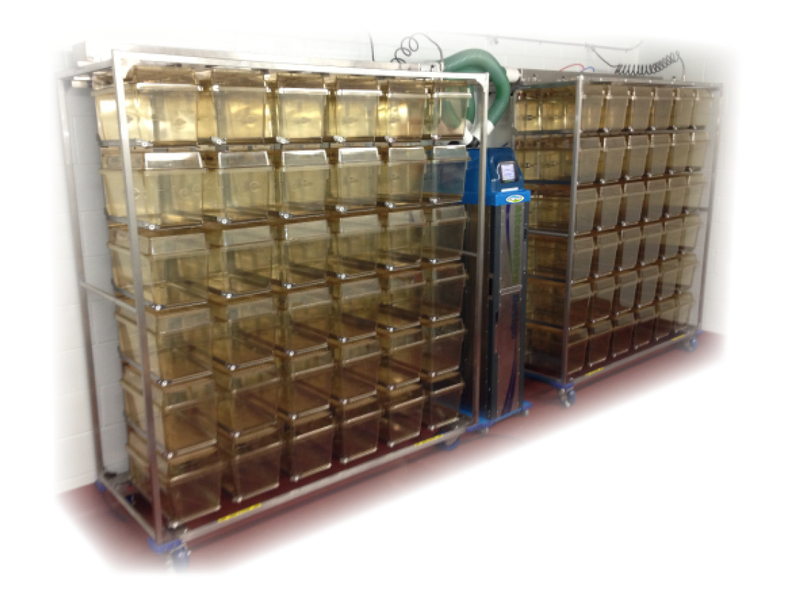 Built on casters for easy maneuverability, it also features quick and easy access to pre-filters. It was designed to be energy efficient (using as little as 30W) with zero rack vibration to minimize the impact on the animals. 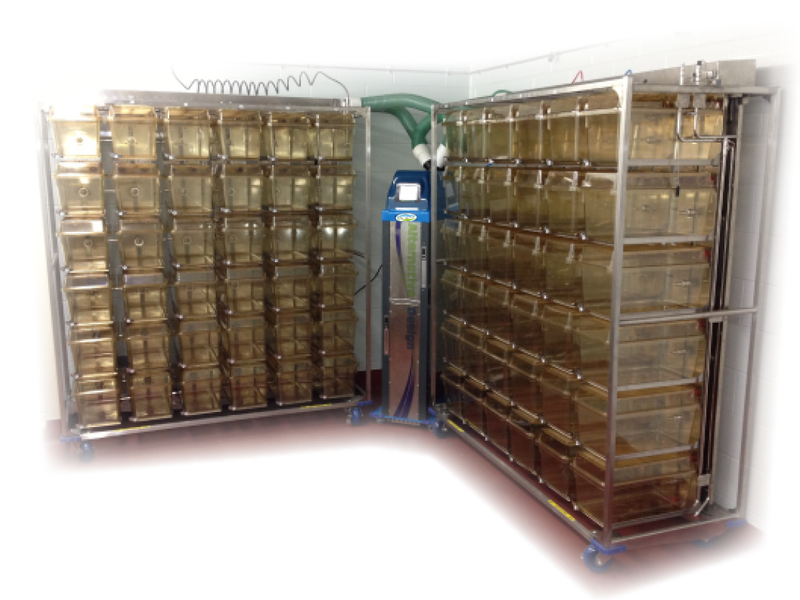 The Halcyon Air Tower has a capacity of up to 320 mouse cages while controlling air changes per hour based on the number of cages and cage type (Ultra-Air, Max 75, Dura Cage, Uni-Cage, Flex-Air, etc.). 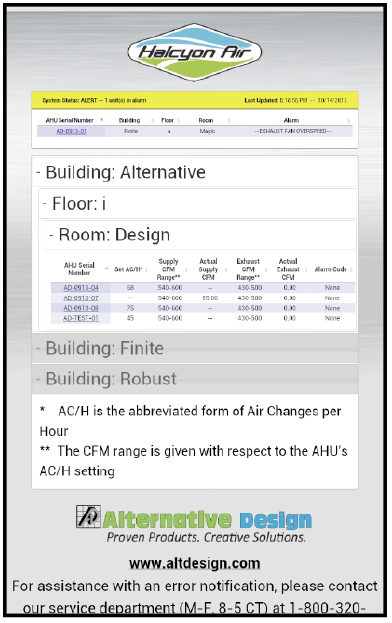 The summary screen displays the current cage pressure, air flow, cage type and filter capacity readings of both supply & exhaust. 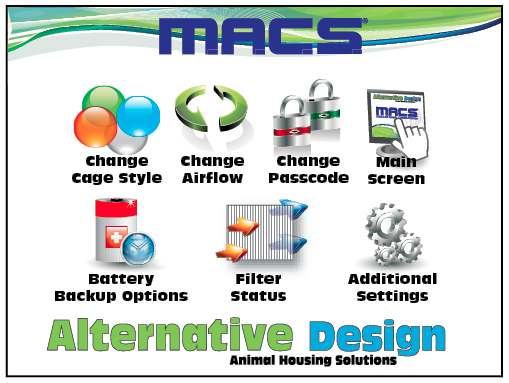 Navigate to the options menu to change airflow or cage style, check your filter status or battery backup settings or additional options. 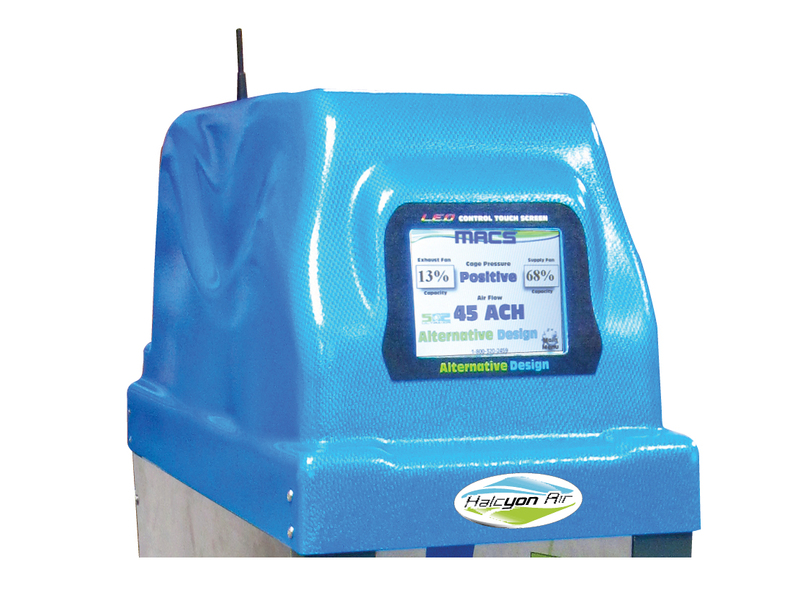 The Halcyon Air Tower is on the cutting edge of technology with a LED touch-screen display and the Safe Guard wireless remote monitoring system, including text (SMS) notifications sent directly to your mobile device. A web-based application (no download required) allows you to monitor the status of your tower(s) from anywhere using your Internet connected device (desktop, laptop, smartphone, tablet, etc.). Choose from three different models including the base model, distress alert or distress alert with battery back-up. 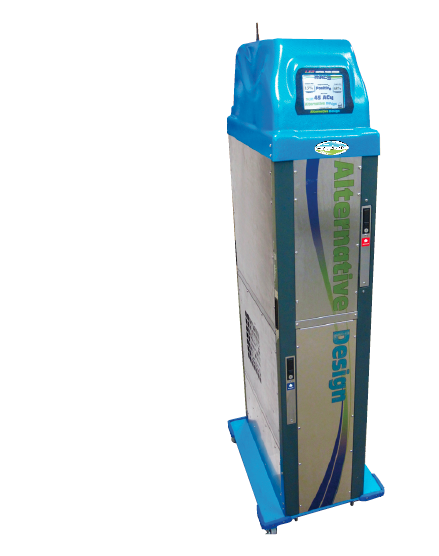 The Halcyon Air Tower was engineered with an eye on the future needs of your facility. 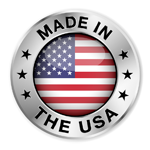 Simple firmware updates (via USB) will allow for upgrades and new development such as wireless control of multiple towers from the Safe Guard Wireless Monitoring System.